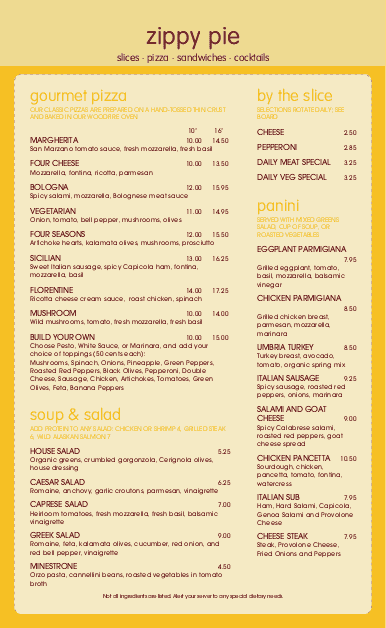 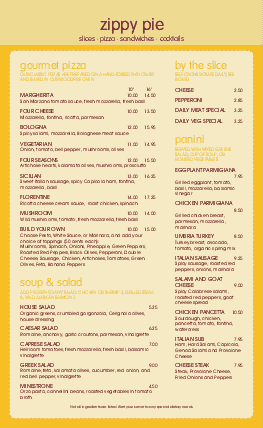 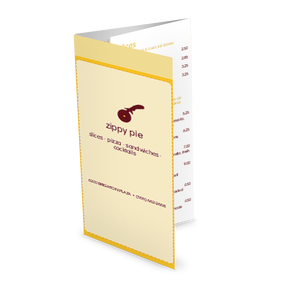 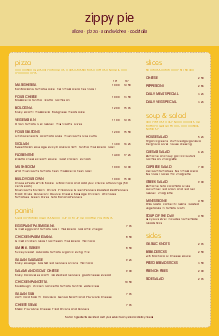 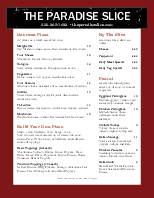 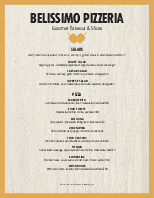 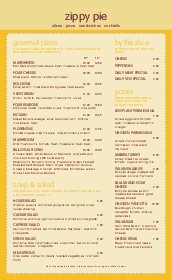 An American Pizza Menu design in legal size (8.5 x 14) with a friendly yellow theme. 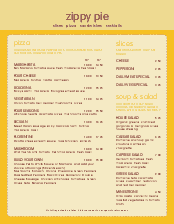 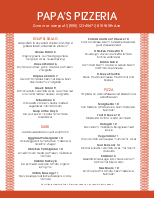 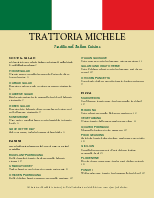 A pizza cutter slices across the top of the page, topping two columns of pizza, subs, salads, and more. 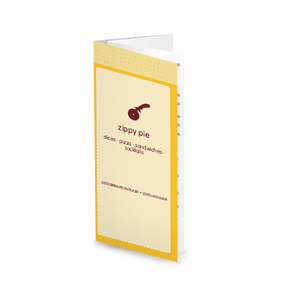 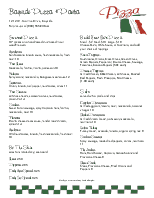 Enter your pizza or Italian items and customize with graphics, paper size, fonts, layout, and more.